You can't judge a book by its cover, but you can certainly deceive people from it. 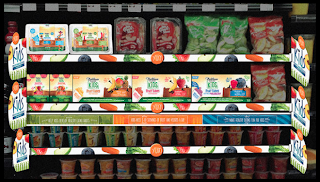 Bolthouse Farms, one of the largest producers of vegetables and juices in the U.S., is utilizing colorful, "junk food style" packaging to trick children into eating their healthy products. The initiative helps make the produce section, in which Bolthouse Farm products are shelved, more appealing to kids who often pester their mothers into the Fruit Roll-Ups and Dunkaroos aisle. Appearances may be deceiving, but in this case, it's probably not a bad thing. 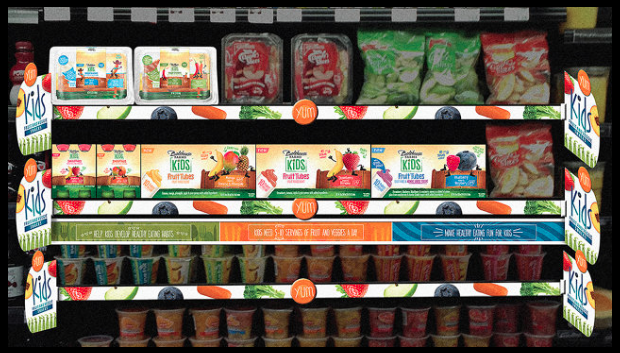 If the new packaging proves successful, we may be seeing a little more excitement in fruits and veggies section!